Start off your visit on the 27th (Sun): find something for the whole family at A Maze'N Things, step off the mainland to explore Koala Conservation Centre, then head off the coast to Churchill Island, then brush up on your military savvy at National Vietnam Veterans Museum, and finally stroll through The Nobbies Centre. To see reviews and more tourist information, refer to the Cowes trip planner . Singapore, Singapore to Cowes is an approximately 13.5-hour flight. The time zone difference moving from Singapore Time to Australian Eastern Standard Time (Victoria) is 2 hours. Traveling from Singapore in October, expect Cowes to be much colder, temps between 23°C and 11°C. Cap off your sightseeing on the 27th (Sun) early enough to go by car to Ballarat. 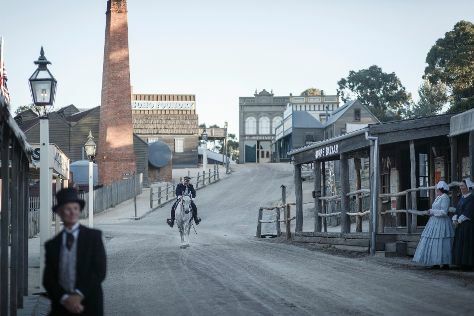 On the 28th (Mon), contemplate the long history of Sovereign Hill, explore the activities along Lake Wendouree, and then take in nature's colorful creations at Ballarat Botanical Gardens. For traveler tips, reviews, where to stay, and tourist information, read Ballarat online holiday maker . Getting from Cowes to Ballarat by car takes about 3 hours. Other options: do a combination of bus and train; or do a combination of taxi and train. In October, plan for daily highs up to 24°C, and evening lows to 8°C. Wrap up your sightseeing on the 28th (Mon) early enough to drive to Torquay. On the 29th (Tue), enjoy the sand and surf at Bells Beach and then take a memorable drive along The Great Ocean Road. 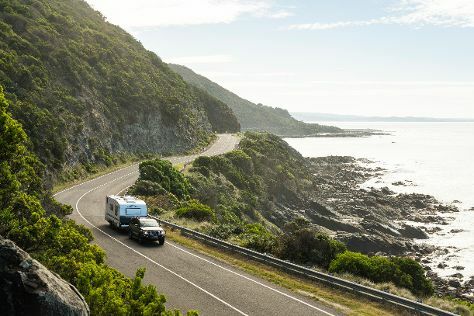 To find reviews, other places to visit, ratings, and other tourist information, read Torquay road trip website . Drive from Ballarat to Torquay in 1.5 hours. Alternatively, you can take a bus; or take a train. In October, daily temperatures in Torquay can reach 24°C, while at night they dip to 8°C. Cap off your sightseeing on the 29th (Tue) early enough to go by car to Melbourne. Family-friendly places like Melbourne Zoo and Fitzroy Gardens will thrill your kids. And it doesn't end there: admire the natural beauty at Royal Botanic Gardens, brush up on your military savvy at Shrine of Remembrance, take in panoramic vistas at Eureka Skydeck 88, and admire the masterpieces at National Gallery of Victoria. For traveler tips, where to stay, ratings, and tourist information, read Melbourne itinerary maker . Getting from Torquay to Melbourne by car takes about 1.5 hours. Other options: take a train; or take a bus. October in Melbourne sees daily highs of 24°C and lows of 9°C at night. Wrap up your sightseeing on the 2nd (Sat) early enough to travel back home.